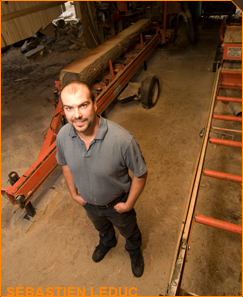 Founded in 2003, Les Bois S & L specializes in hardwood, lumber and renovation wood. Located in the Petite-Nation, this startup company is managed by Mr. Leduc, who has over 15 years of experience in the wood industry. Our mission is to meet our diversified clientele's different needs thanks to our unparalleled work and use of the best quality of wood available. Have confidence in our team.